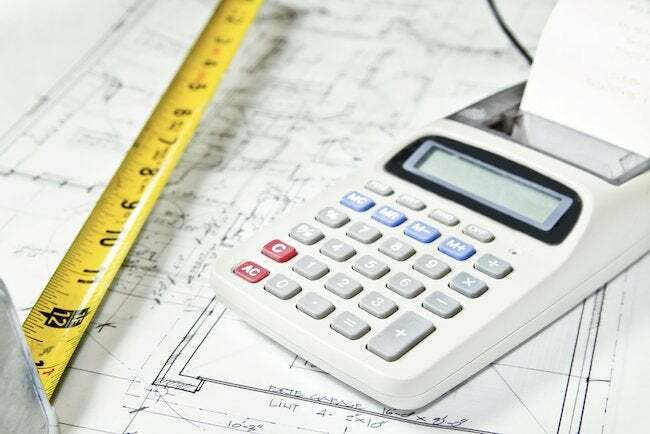 Cost overruns are certainly common in renovation work, but there are steps you can take to try to anticipate some of them. Do you need to arrange for tree removal or clearing of other vegetation? How about demolition of existing hardscape (patios, walls, etc.). Will pre­cautions be necessary to prevent soil erosion during and after excavation? Are there landscape features (like mature trees) that need protection? Your estimates should specify what is to be done, which may include digging the foundation hole, hauling off unwanted fill, back filling after the founda­tion is done, and final grading. If there will be drains in or around the foundation, your excavation contractor may install them, so references to crushed stone and drain tile should appear on the estimate. Has the foundation contractor figured in pounng the footings, walls, pads, bulkhead access, and/or slab? Are there poured concrete walkways in the plans and in the estimate? What about insulating the foundation? If your designer has specified it, the cost should be included in the price. What about sealing the foundation with an asphalt-based or other sealer? Is that included in the price? Is other drainage or waterproofing necessary? If the builder has prepared his estimate on the basis of careful specifica­tions, the estimate should cover framing the walls, floors, and roof with a specified grade of lumber. Green lumber might cause headaches down the line, shrinking as it dries. Kiln-dried hem-fir is the norm, but you might want a higher grade of Douglas fir. In some urban areas, steel studs are required by the fire codes. The exterior walls should be covered with sheathing and the roof with a subroof of plywood, oriented strand board, or roofers. If the design calls for laminate or steel beams, steel columns, or roof trusses, check to be sure the builder has incorporated those into his estimate. The builder, or a roofing subcontractor, should specify the materials to be used (asphalt shingle, cedar, tile or slate, per the specs), as well as flashing and roof­ing paper. Particularly in homes in colder regions with dense layers of insulation, ventilation is also important. Are there roof or soffit vents specified? If there is a chimney, fireplace, stone or brick facing on the foundation, a mason will need to provide an estimate to you, the GC, or the construction manager. It should specify the type of brick or stone. Ask to see a sample. Again, the specs should be your guide but whether insulation is required in your climate to keep the heat in or out, insulation is a sensible invest­ment. The kind, thickness, and R-factor of insulation for the walls, floors, and ceilings should be specified, along with the vapor barrier for interior surfaces. The building code and the code enforce­ment officer are your allies here for safety and health concerns. Look for consistency with the specifications (query any variations). Make sure that you see, at least in a cat­alog but preferably in person, any fixtures or appliances specified. Verify model num­bers, colors, and sizes. If additional capacity for hot water, heating, or cooling will be required to service your added space, do your estimates include the prices for a hot water heater, furnace or boiler, air-conditioning components, or other equipment? Doors and windows should be highly functional yet they also contribute significantly to the appearance and character of the house. Make sure that your estimates describe doors you like, and that quality lock sets and weather- stripping are included. Are they of a kind and quality consistent with those in the existing house? Window and door trim, baseboards, other moldings like chair and picture rails, and cornices should be specified. Review the sizes, grades, manufacturers, and model numbers of cabinets; if the millwork is custom, make sure the specs include grade and type of stock to be used. If you are adding a stairway, ask to see sample or catalog descriptions of the stair components, including the treads, balusters, and railing. Check the specifications carefully to be sure you know exactly what you’re paying for. Affirm that what you expect is what you’re getting. Sometimes it’s best to exclude these from the contract altogether. Shop around on your own and get some deals but stick to the specs. Changes in appliance sizes, for example, can wreak havoc with cabinet orders. Does the estimate include rubbish removal and cleanup? How about painting, interior and exterior? Prime plus two coats of paint are a minimum; on new wooden floors, the finish should be at least two and preferably three or four coats of urethane. Have you figured in such landscaping expenses as topsoil, seeding, planting, and relandscaping? Landscape costs are often overlooked. That can mean a hand­some renovation has little visual impact from the outside because its setting is a tan­gle of weeds or a bland expanse of lawn. Do your estimates allow for even modest plantings or walks and walls to accent the architectural attributes of your house? You may not want to spend a penny more than the sums already in your esti­mates, but if pieces of the puzzle are missing, the finished work will end up looking incomplete, too. Have the hard conversations now rather than later. You have much more leverage before the work begins than after it’s finished and most or all of your money has been paid out.